Set in a 1960s English new town, Your Fault charts one boy's childhood from first memory to first love. A year older in each chapter, Peter's story is told to him by his future self as he attempts to recreate the optimism and futurism of the 1960s, and to reveal how that utopianism fares as it emerges into the Seventies. It's an untold story of British working class experience, written with extraordinary precision and tenderness. 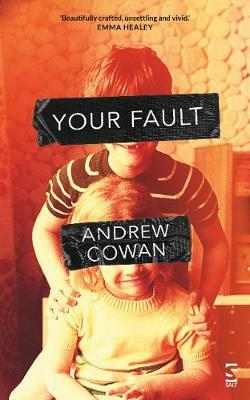 Your Fault is a novel written under the microscope. Both unnerving and witty, it manages to embrace every little detail of childhood in the sixties. From England's World Cup win, to pavements littered with moulding dog dirt, Matchbox replica cars and digging for worms in the flower bed. Plus, some truly tender moments, like his mother pressing a flannel to Peter's eyes as she pours cup after cup of warm water onto his head to rinse off the bath suds, before seeing him off for his first day at school. Andrew Cowan scrutinises each of these memories in an act of extraordinary craft.